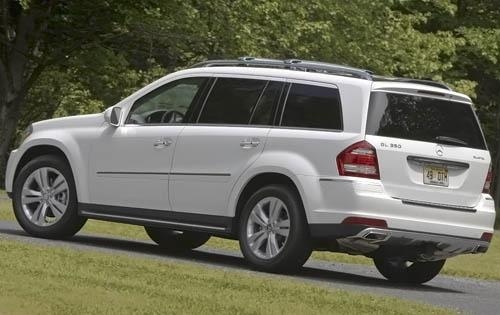 For those who follow Mercedes-Benz’s growing line of crossovers and SUVs, the 2011 GL-Class needs no introduction. This luxurious seven-passenger truck has seen only cosmetic tweaks since its 2006 debut, sailing into the new model year with little more than improved safety features, some new in-cabin tech, and 21-inch AMG wheels made standard on the top trim level. Despite the iconic three-pointed star emblazed on its front grille, the GL is not strictly German. The GL-Class was designed primarily for the once-soaring American SUV market, where the automaker hoped to compete against more established domestic rivals. This explains the GL’s cookie-cutter profile, which can be easily mistaken for that of any other large SUV rolling down the highway. Mercedes also takes issue with the term "truck," insisting that the GL-Class is a car-based crossover and therefore has more in common with luxury sedans than traditional SUVs. The claim is not without merit, since the GL rides on a unibody platform similar to that of the M-Class – a single-frame architecture that ensures a civilized and solid road feel. Still, with 83 cubic feet of cargo space, the GL’s focus on utility comes at the expense of "sport." This fairly large Benz falls far short of the kind of nimbleness and driving excitement offered by other European SUVs in its price range. The 2011 Mercedes-Benz GL-Class breaks down into three trims – the GL350 BlueTEC diesel, GL450, and GL550 – each using a different engine. For most SUV buyers seeking Mercedes cachet at a fair price, the torquey, turbocharged BlueTEC diesel is by far the optimal engine. With 210 hp and a whopping 400 lb-ft of torque (more than either of the two V8s), the diesel V6 provides blazing power for passing and freeway merging as well as plenty of oomph for towing. At an EPA-estimated 17/21 mpg, it also offers respectable fuel economy for a full-size SUV. 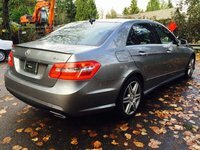 All engines are mated to a seven-speed automatic transmission and Mercedes' 4Matic all-wheel drive. When powered by the GL450’s 4.6-liter V8 or the GL550’s 5.5-liter V8, putting out 335 hp and 382 hp respectively, the Benz rockets much faster off the line. However, at 13/18 mpg and 12/17 mpg respectively, these GL-Class vehicles turn into incessant petrol hogs. The latter of the V8s also steeply increases the vehicle’s price, making the 2011 GL550 exorbitant even by Mercedes-Benz standards. The 2011 GL-Class may look off-the-rack on the outside, but inside, it’s pure Mercedes. Standard are heated adjustable front seats, third-row split-folding power seatbacks, a sunroof, automatic headlights, roof rails, automatic wipers, dual-zone automatic climate control, rear air-conditioning controls, COMAND electronics interface with navigation and eight-speaker stereo with an in-dash 6-CD changer and auxiliary input, and now the standard “mbrace” GPS satellite link with 24-hour live assistance and smartphone-based remote vehicle access. The GL550 adds DVD navigation along with keyless ignition, a Harman Kardon surround-sound audio system, and the available Lighting and Full Leather Seating packages. Despite its prosaic, typical-SUV look, the 2011 Mercedes-Benz GL350 BleuTEC lives up to its namesake with decent fuel economy, impressive torque, and a generous list of standard hi-tech features. Meanwhile, with each added option, the V8-powered GL450 and GL550 become very pricey very quickly and are therefore less competitive in a field of other premium-brand SUVs. In all, however, the 2011 Mercedes-Benz GL-Class is just what American SUV buyers want: a powerful, luxury, “German” Yankee hauler with plenty of tech and towing capacity. What's your take on the 2011 Mercedes-Benz GL-Class? Frank Un believably well built machine!! 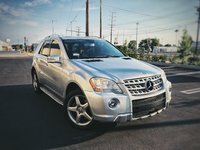 Have you driven a 2011 Mercedes-Benz GL-Class? where is the backup camera located on ml350mb ? How Often Do Brakes Need To Be Replaced In A 2011 Gl450?